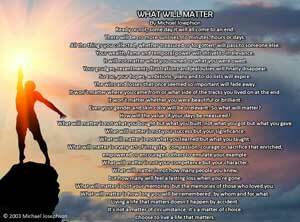 If you were hiring a new CEO, what are the most important qualities you’d look for? Surely you’d want a high level of demonstrated competence – knowledge, experience, intelligence, vision, communication, and relationship skills and the ability to motivate, manage, and solve problems. But what about qualities such as honesty, moral courage, accountability, and fairness? Despite bold rhetoric about the indispensability of good character, many hard-driving organizations are willing to be flexible on character to get an exceptionally competent person. Thus, many current scandals – in business, the church, and sports – have occurred because organizations compromised their principles by recruiting, retaining, or tolerating leaders with serious character flaws who generated costly accusations of wrongdoing and undermined trust, morale, teamwork, and loyalty. I used to tell clients that competence and character were two separate aspects of intelligent employment decisions. Now I think it’s a mistake to disconnect them. Good character is an essential aspect of competence. 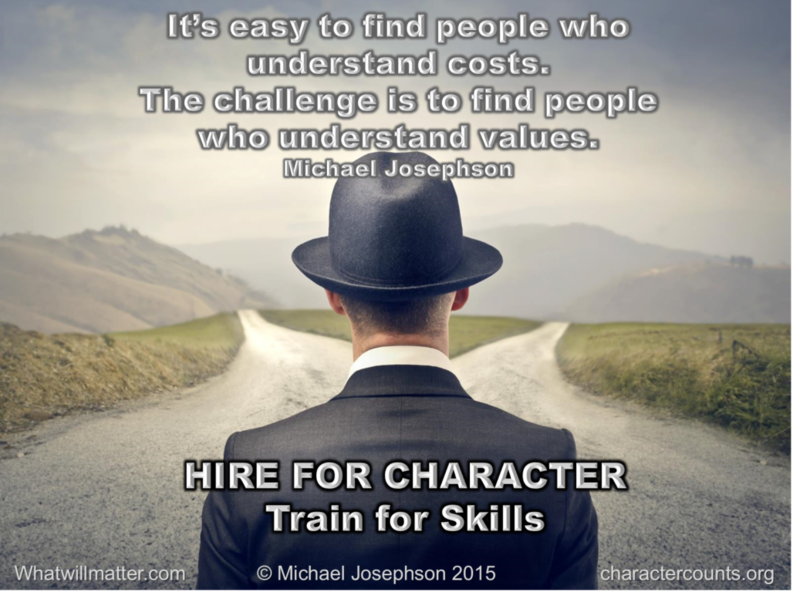 Since it’s easier to train a person of good character to do a job well than to develop character in a skilled but unprincipled employee, if you have to choose, hire for character and train for skills.